Ours was not the “rip the Band-Aid off quick so it doesn’t hurt” type. Ours was the American woman standing just outside airport security balling her eyes out. Ours was the Colombian boy standing just inside airport security balling his eyes out, needing to be consoled. The your makeup’s running and you don’t care borderline “ugly cry” kind. The “I don’t know if I’ll ever see you again” type. Christmas this year and last has left me staring at the stark sinfulness of my heart. When I don’t get what I want, I am unhappy. When I do get what I want, I am unhappy. The God-shaped-hole cannot be filled with a perfect sparkly package or even everything on my Christmas list. 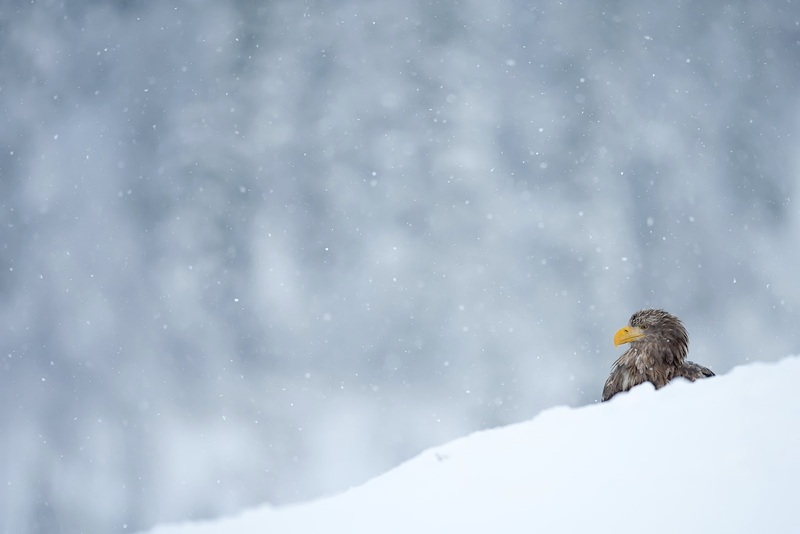 Following Christmas several years ago a pastor preached that the emptiness we feel the days after Christmas (and sometimes like me, the day of) is its own gift. It is God reminding us that only He can truly fill our every longing. As my husband reminded me, I oftentimes sacrifice the eternal investments for the temporary things and that is where I loose Christ. But worse yet I oftentimes hope to be the healer, the repairer of all the broken things. But as much as I want to I cannot truly redeem anything and I can never fix what is broken. But He can. And in case you’re wondering, you can find Him too. Though he may be found in the Pinterest-perfect-project He’s more often found in The Gift of the Magi. And while he may be found in the chaos of wrapping under the perfectly decorated tree, I’m certain it’s easier to find Him in the shadow of the Charlie Brown tree. While I often find Him in the warmth of home with Christmas cookies in hand, He can also be found in the company of those in the alleyway with no warmth to spare. And sometimes, when you least expect it, He will find you. In the brokenness of Christmas, on the patio at McDonalds’. This year I got to partake in one of my favorite Christmas traditions of watching It's a Wonderful Life (on DVD commercial free) early. Usually I have a girls viewing party including popcorn, pajamas, and a holiday beverage bar. 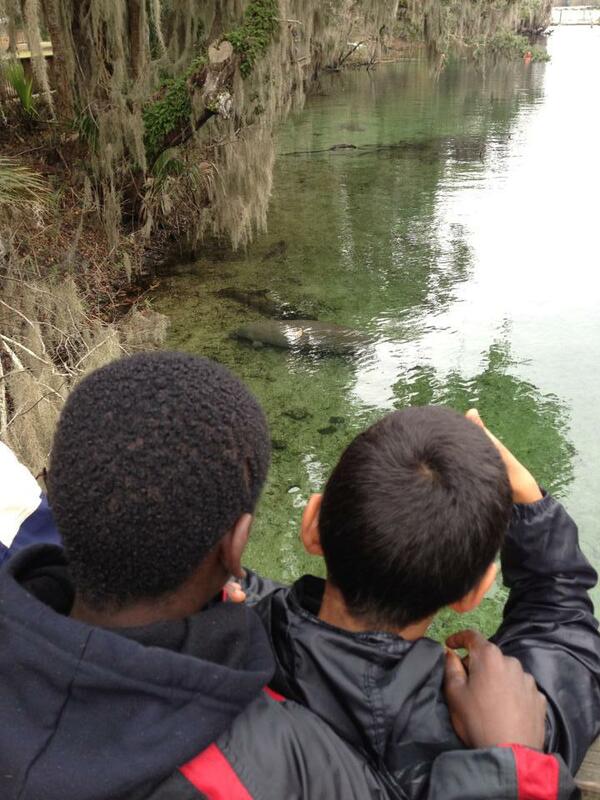 But with us hosting a Colombian child this month I wasn't sure if it was possible. Somehow amazingly I talked my husband into watching it with me the Sunday after Thanksgiving (I'm still not sure how I managed this). Although it's not directly related to advent this is certainly one of the ways I slow down, consider my life, and prepare for the wonder of Christmas. If you haven't seen this wonderful movie from start to finish you certainly must. It's appropriate for all ages and I assure you it will only add more meaning to your celebrations. 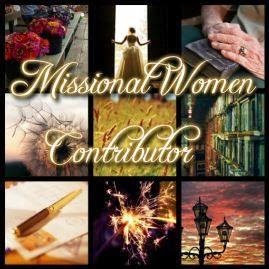 In the spirit of that fabulous movie The Resurgence shared a great post on the qualities of a good wife as seen in Mary Bailey. So what are your favorite traditions? How do you draw near to the Christ child this time of year? 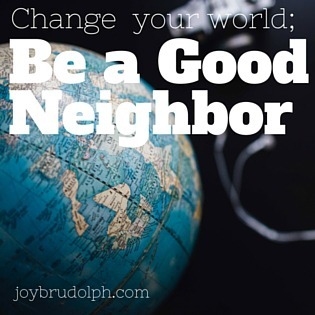 "Being redeemed... I am free to misstep, but compelled to bring Him honor and glory. It means I am more than I once was, covered, re-purposed." Congratulations, Emily! DaySpring will be sending your gifts in the mail. And I am reminded that He promised to redeem all of His children. Leaving none fatherless and without a home. All brought into His family. Adopted. And that changes how I view the cross, my own life, and freedom. Just as God wants the little children to come unto him, to redeem their lives, he wants to do the same for you this Christmas season, and every day. What does being “Redeemed” mean to you? How can you live out the meaning behind the Redeemed Collection– especially around the Christmas Season? Thanks to DaySpring for providing me with these free products. All opinions are mine. I used to be one of those people who hated any talk of Christmas before December 1st. I didn’t like seeing the decorations in stores before the Florida heat had dissipated or hearing Christmas carols before my Thanksgiving turkey. But several years ago I read the quote below and God started me on an journey of embracing Christmas all year long. That quote by Manning is by far one of my favorite Christmas quotes. It reminds me of the triumphal entry in Luke 19 where Jesus admonishes the Pharisees that if Christ followers won’t praise him then even the very rocks would cry out to their King. Let us remember that we need the Christ child all year long, maybe even more so than at Christmas. We need him in the spring to remind us of the suffering of the cross and the brutality of humanity. We need him in our darkest hour to remind us that God is not a stranger to human pain. We need the child even in the bounty of the fall to remind us that the God of the universe humbled himself and came down to earth with nothing. In our comings and goings, wrapping and unwrapping, baking and eating, let us remember Jesus. Let us truly live like this season is about his birthday. May we remember that every Christmas light, every wild shopper, and every poinsettia exists for his glory alone. Just dropping in to say I'll be giving the Praise Be to the Lord Pillow and Advent Tabletop Calendar away next week to one special reader. It might be you so be sure to check back next week. Hope you have a refreshing weekend! 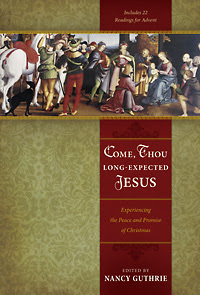 One of my favorite ways to reflect on Christ during Advent is to read Nancy Guthrie’s Come, Thou Long Expected Jesus. My husband and I started reading it together in 2009 and it’s by far my favorite part of celebrating the Christmas season. The book is a collection of writings from the likes of Charles Spurgeon, Martin Luther, John Calvin, John Piper, R.C. Sproul, and Joni Eareckson Tada, just to name a few. The daily readings aren't for the faint of heart. They're lengthy, meaty, and require some time and consideration to absorb all the riches they have to offer. One of our favorite things to do is to grab the book after dinner, snuggle up on the couch, and quiet our hearts with the Christ child. Because of it's intellectual wording this book would not be appropriate for small children but it would be suitable for family devotions with teenagers. It would also be appropriate for a small group or missional community as long as everyone has their own copy, again due to the loftiness of the wording. How do you prepare your heart for Christmas during Advent? I would love to know what resources you use.